TJ Kearney would never have imagined that after serving 8 years in the United States Marine Corps he would be a successful business owner. 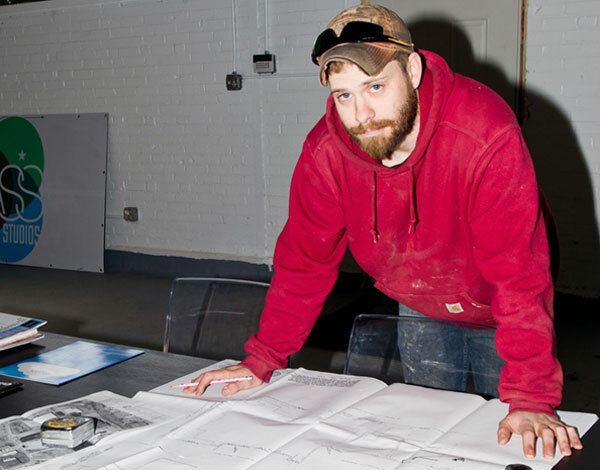 The progression from wounded veteran to entrepreneur was not an easy feat for TJ, but luckily for him, he was able to beat the odds and bring Kearney Custom Interiors to life. As a high school graduate, TJ went into the military and was deployed to Fallujah, Iraq in 2006 where he sustained 7 injuries in total. Coming home from war was a struggle for TJ and he required immediate medical intervention. Not knowing what to do next, TJ enrolled in North Bennet Street School to perfect his fine craftsmanship skills in woodworking. TJ impressed all his instructors and at the NBSS graduation auction in 2011, TJ’s hand-made end table sold for $3,000; one of the highest selling pieces at the auction. Kearney Custom Interiors was established in December 2013 after TJ completed the Veteran Business Owners Initiative business gym course. With help from the VBOI, TJ was able to position Kearney Custom Interiors to be a specialist in custom cabinetry, hand-made furniture, millwork, and home remodeling. Only three months after launch, Kearney Custom Interiors has contracted over $170,000 of carpentry work. The largest contract to date has been a two phase project for a Boston film studio totaling $145,000. In the most impressive short amount of time, Kearney Custom Interiors has discovered their niche in the carpentry market and plans to continue to take advantage of the growing film industry in New England. The VBOI is overly excited and enthusiastic about the great leaps TJ and his company Kearney Custom Interiors has made in an abbreviated start-up period. They will continue to support him and his business and hope that other veterans are inspired by his success story.